Recently I had the opportunity to teach two bible classes at a local Christian school. There is quite the age and maturity difference between sixth graders and tenth graders, but the bible has a wonderful way of relating to both. Acts chapter three was the bible passage being discussed with special attention being paid to the scene around the healing of the lame man. This is a fascinating story with all kinds of teaching points that can be extrapolated and learned from. While I meditated on this passage there were three significant things that connected with my spirit. 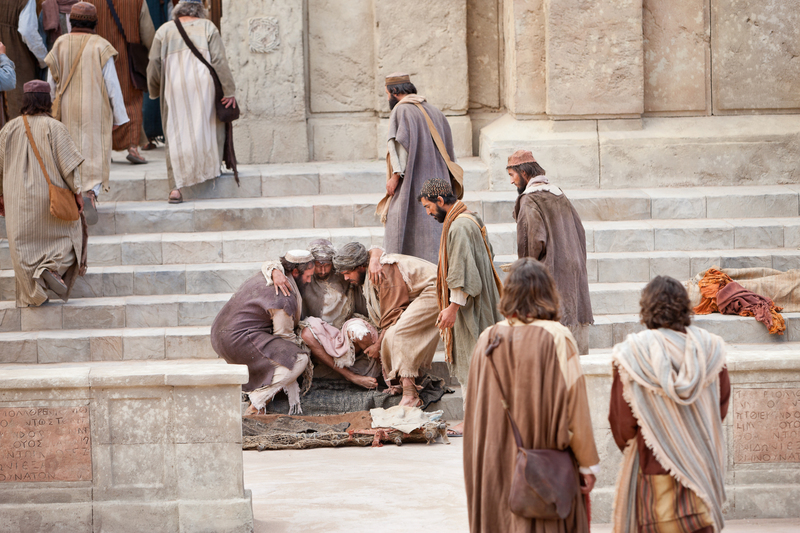 This story starts out with Peter and John on there way to the temple for prayer (Acts 3:1). This does not really seem like any type of significant scripture when taken at face value, however there is a great inspiration and truth here. The Holy Spirit had just fallen on the apostles and there was much ruckus in the city regarding the recent salvation of many people and this new way of believing. Peter and John were the prominent leaders of this new movement. They were men becoming more and more powerful with more responsibility. Even with these new leadership roles and the instant multiplication of the church from Acts 2, they were men committed to prayer. They understood that when you pray it creates an opportunity for great things to happen. That commitment to prayer led to this encounter with the lame man. We like them can miss out on so many wonderful opportunities and stepping stone moments when we forsake being people of consistent prayer. When Peter and John encountered the lame man (Acts 3:2-8) they were on their way to pray. The interaction goes somewhat how you would expect it to go, but I so appreciate Peter and Johns response. They heard what the lame man wanted, but they knew what the lame man needed. So many times what we want and what we need are drastically different. So Peter and John gave the man more than he could have even dreamed of because they knew a God he did not. They know a God who likes to make what is old, new. Who likes to bring his super natural into our natural. And Peter and John were not fake! They did not try to be to the man something they were not or give him something that they didn’t have. Be who you are! Who you are in Christ, who we are in Christ is what people need… not some fraud or something phony. One of the more influential quotes in my life comes from a modern children icon in Mr. Rogers. He says, “When I was a boy and I would see scary things in the news, my mother would say to me, “Look for the helpers. You will always find people who are helping.” I’m fascinated by Peter and John in this way. They were not too busy or too high on themselves and their recently found prestige. They heard and saw a need from this lame man and they took the time to help. Always be a helper! Never be too busy to help. Pray. Don’t be a fake. Always be helper. Wonderful lessons from two men being who they were, doing what they do and reflecting a savior whom they loved! ** If you would like to read more articles by Marvin or listen to his sermons, Click Here.